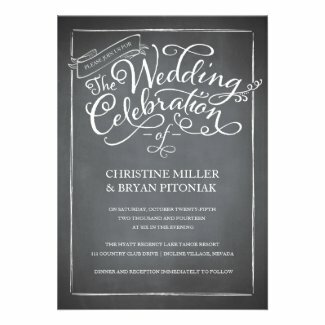 An elegant chalkboard invite will let your guests know what is to be expected at your celebration. This type of wedding invitations use handwritten style fonts, and sometimes also present florals or vintage drawings to go along with the text. In most cases they present a black background and white text, but there are stationery options where the font can be in other colors, such as pink, blue or yellow to fit your color palette and wedding vision. Some distributors allow you to print cards in different shapes, so even if you get to see a square card design, you may be able to request to print the card in other shapes. 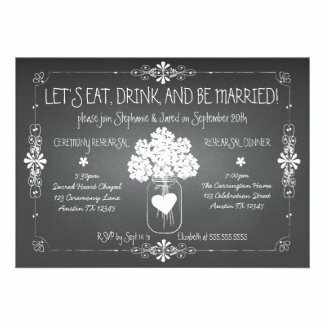 Here is a selection of the best elegant chalkboard wedding invitation designs for your celebration wedding. Vintage brides as well as those with a black and white wedding color palette, love this type of stationery for their celebration. Let us know which one is your favorite design in the comments below.